Single Sentence Summary: For three generations if you’re born a Roanoke girl, you either leave or you die. 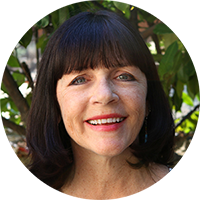 Primary Characters: Lane Roanoke – the only Roanoke girl not born at the family estate. Lane arrives at Roanoke following her mother’s suicide. Allegra Roanoke – Lane’s cousin, only six months younger. Allegra has always lived at Roanoke. Yates Roanoke – the family patriarch, a man single-minded in getting what he wants. Synopsis: Fifteen-year old Lane has had a rough life. There was always something deeply sad about her mother and Lane never understood why. Following her mother’s suicide, Lane comes to Roanoke to be with the only family she has: grandparents and a cousin she’s never met and knows nothing about. Lane fits in smoothly to life on the estate/farm and finds a friend in Allegra, but something is not quite right. After only a few months, Lane flees her family only to be called back ten years later when Allegra has gone missing. The last thing Lane wants to do is return to Roanoke, but she feels a responsibility to Allegra, who she left behind. 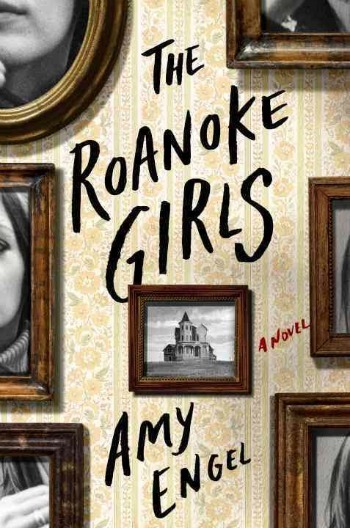 Review: The Roanoke Girls is a difficult book to review without giving too much away, but I’m going to try! Amy Engel’s debut novel for adults has a very serious theme, yet the book was still delightfully fun and a fast read. She wove her story together with Lane as the narrator, alternating between the first summer she spent at Roanoke and the summer ten years later when she’s returned in search of Allegra. The events of that first summer had long haunted Lane and coming back was something she never wanted to do. Though I was able to predict much of what happened, I enjoyed how the resolution came at the juncture of the two time frames. Engels’ writing was clean and the uneasy tone of her narrator perfect. The Yonahlossee Riding Camp for Girls by Anton DiSclafani – Like Lane, this book features Thea, a 15-year old forced to leave the only home she’s ever know. The Gospel of Winter by Brendan Kiely – This novel is the story of a boy trying to fight his way out of an abusive situation and take control of his own life. All Things Cease to Appear by Elizabeth Brundage – Another mystery taking place on a farm. In this a young mother is found brutally murdered, but by whom? Thinking about this now, I think you’re right on needing to know a bit more about the why and maybe some sections written from Yates’ perspective would have helped with that? Yes! I think knowing a little more about Yates would have helped. Looking forward to reading your review. I want to read this book mainly because I love multi-generational stories and dysfunctional families. Black Rabbit Hall was another that put me in the mind of Flowers in the Attic. I think you’ll like The Roanoke Girls. This family takes dysfunctional to a whole new level! I agree with you and I also loved the resolution… it’s a book that not everyone will like, but it was unique! Ahh, such great thinking points, Susie! I definitely think that Engel’s background in YA literature lends a little less rationality to this one; I probably need to suspend my logic a little more, sometimes – ha! I really enjoyed this one, though, because it was like a train wreck…could stop wanting more details! Great review! OMG- you took the words right out of my mouth! Literally. I was thinking Flowers in the Attic for most of this novel! It was clear so quickly and then just got creepier and creepier. One hot mess of a family. I agree about Engel’s writing, though. It was enough to keep me reading even if the plot was a bit extreme.